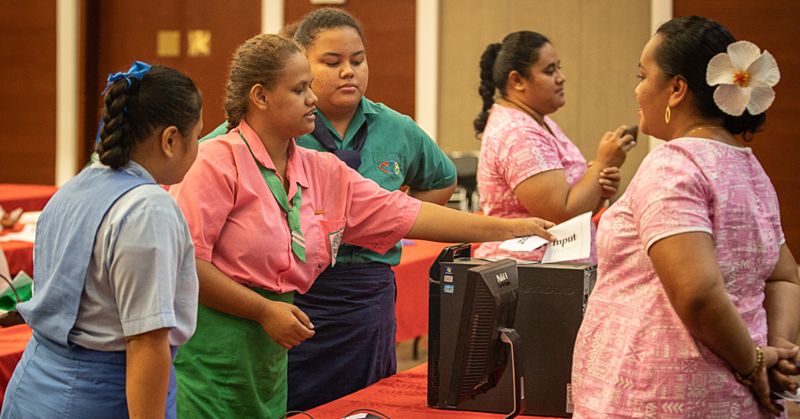 The Congregational Christian Church at Vaoala received 42 computers worth $35,000 last week. The donation was made possible by the assistance of the Information Technology department at the Queensland University of Technology in Brisbane. The University’s representative, Tagaloa Europa said the donation will assist the children of the church in many ways. Rev. Ioane Petaia of the C.C.C.S. 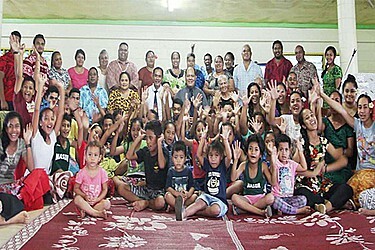 at Vaoala thanked the Queensland University of Technology in Brisbane for the computers particularly Tagaloa’s family for putting together the donation for their church. “Thank you for your interest in supporting our church, especially our children. “Your support will ensure and continue to attract the brightest minds of our young ones in the future. “This equipment will also contribute a lot in their learning.